Our newest resident! This gorgeous boy is named Rhett. 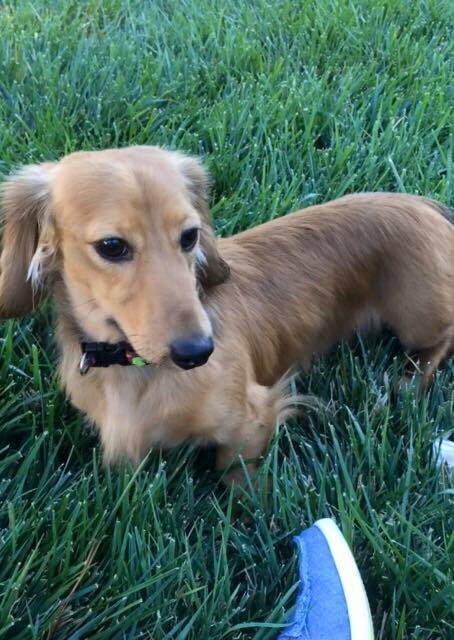 He’s an 18 month old long haired dachshund. Rhett is a little shy but warms up quickly. He loves other dogs. Rhett has an appointment next Monday to get neutered and will be ready for adoption next Friday. If you are interested in adopting this handsome guy, call Jessica’s Haven and Rescue at 415-747-8785.